What a great day Sunday was! Eleven people flew up to Echuca for their monthly Sunday roast lunch. Good feed for $15 each, excellent flying weather all day (yes there was a headwind going, but a tail wind coming home), great company and ripping conversation. They’ve got first-class facilities up there and are such a friendly, out-going bunch. Watch out for this being a regular trip; they have it on the third Sunday of every month. YECH destination is an easy 1 hour (or less) flight from YLIL depending on wind. My apologies to Neroli, I neglected to get a photo until our return where Mark, Vicky, Steve, Steve and myself had a quite ale at Napoleons on St Herberts Rd in the Yarra Valley. For those seeking to add another reason to aviate, flyaways are a must. Agree wholeheartedly! Lovely destination & friendly folks. 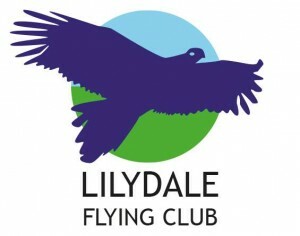 A bunch of us from the Australian Women Pilots’ Association will be back there this month. Sunday is also their comps day. If you want to join us, we’ll be there from Friday!